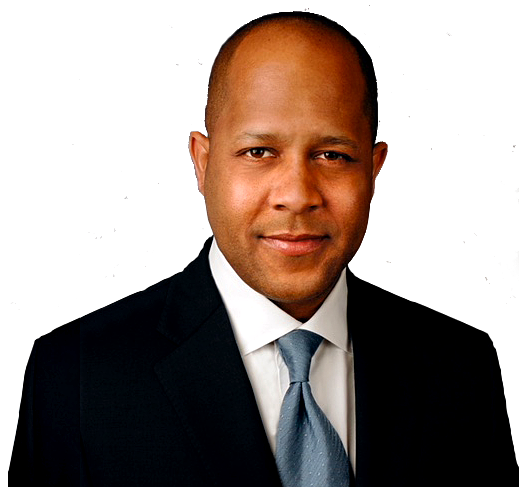 Jeff Pegues is the CBS News Chief Justice and Homeland Security Correspondent based in Washington, D.C. He joined CBS News in July 2013 and reports for all CBS News broadcasts and platforms. Since joining CBS News, Pegues has led the Network’s coverage of some of the biggest stories of the last decade. From the Russia investigation to recent terrorist attacks Pegues is often at the top of the CBS Evening News. Pegues has also become one of the most visible and informed journalists on the investigation into Russian interference in the 2016 election. His new book Kompromat: How Russia Undermined American Democracy investigates how Russian President Vladimir Putin’s hackers poked into U.S. voter databases and what is being done now to shore up election systems in states across the country. In addition, he has become one of the most informed voices on the conflict between the black community and police. 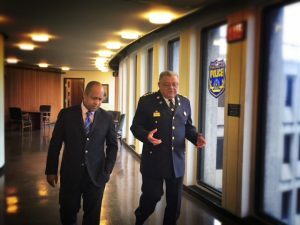 Not only has he reported extensively on recent police actions and Justice Department investigations in Baltimore and Ferguson but he has also authored a book on the issue. Black and Blue: Inside the Divide Between Police and the Black Community is available everywhere books are sold. 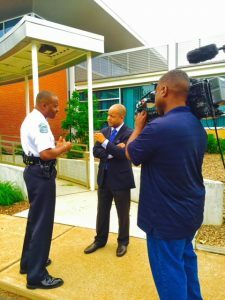 Pegues is the recipient of three Emmy Awards, numerous local and national Emmy Award nominations, the Sigma Delta Chi Award from the Society of Professional Journalists, and in 2017 was part of the CBS News team that earned an Edward R. Murrow Award. Pegues has more than two decades of experience covering stories of national and international magnitude, including presidential elections, Hurricane Sandy and its aftermath. His breadth of experience covering the news of the day is often called upon for radio interviews and speaking engagements. Prior to joining CBS News Pegues spent nearly 10 years at WABC-TV in New York. 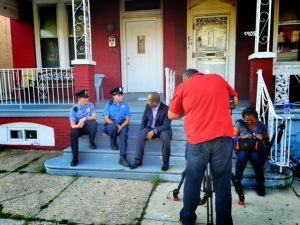 Previously, Pegues was a weekday anchor and reporter at WBAL in Baltimore. He also anchored the top- rated evening newscasts at WSVN in Miami in the late 1990s. He is a proud graduate of Miami University of Ohio where he was a scholarship football player and starting wide receiver in the early 1990s. Pegues went to high school in Westport, Connecticut where he was an All-State sprinter and All-Conference running back on the football team. Prior to moving to Connecticut Pegues lived overseas in France, Zimbabwe, Ivory Coast, Nigeria, Zaire and the Philippines.